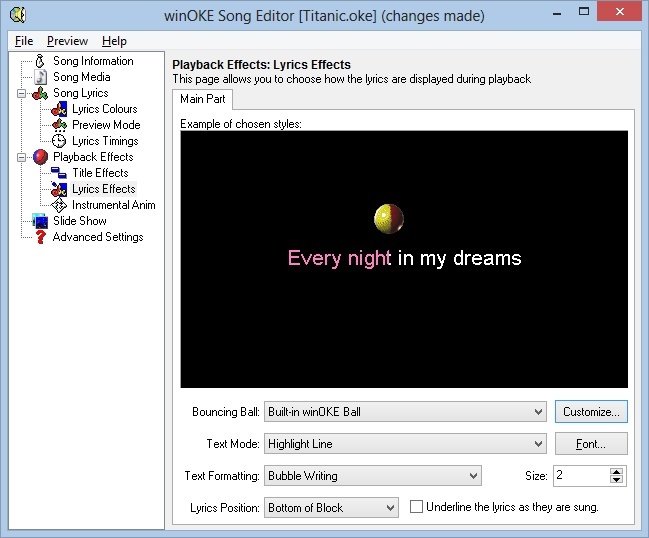 Karaoke Software for Windows for Over 21 Years! winOKE will also allow you to export your presentations as an AVI file for those of you that don't want to present on your computer. Try winOKE v3.28, free for 30 days and if you decide you like it then all you have to do is register it! Copyright © 1996-2019 RobSmithDev. winOKE has been maturing for over 21 years!